A Teen gymnast dislocated her shoulder. It relocated by itself, and she thought she was all better. Unknowing the true nature of shoulder dislocation she kept competing. Her shoulder dislocated 2 more times. This totaled 3 shoulder dislocations. At this point, she saw an orthopedic surgeon and an MRI of her shoulder was obtained. A large labral tear was noted. The orthopedic surgeon gave her options of surgery with a 4-month recovery with no gymnastics. He also candidly stated there would be no guarantee of her returning to her prior gymnastic level. This was very troubling to the Gymnast and her parents. She had hoped for a college scholarship. Because of all the uncertainty, she sought a Regenerative Medicine consultation with Dr. Lox. She had been researching stem cell therapy and found many referrals to Dr. Lox, including her coach. 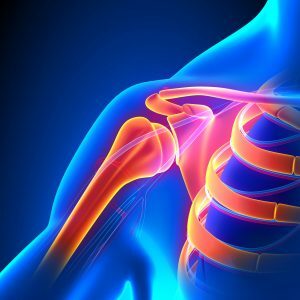 What Happens after Shoulder Dislocation? The shoulder is more complicated than a simple ball and socket joint. This allows the shoulder to move and perform at extreme positions in sports. Examples are baseball pitching and overhead racquet sports such as tennis. The numeral headrests in a socket of soft tissues. The glenoid labrum is cartilage covering the humeral head. This is covered by the rotator cuff. The rotator cuff is comprised of the muscular tendons of 4 muscles. This soft tissue covering allows the shoulder to move and perform at extreme degrees of motion. Because this also provides shoulder joint stability, if the shoulder (the humeral head) comes out of the socket, something has to tear in the process. This is typically the cartilage lining the glenoid labrum. It is not uncommon that the rotator cuff may tear as well. Sometimes the dislocation is violent enough to create a bone depression wear the glenoid labrum is torn. This is known as a Hills Sachs lesion. Because of the nature of how shoulder joint anatomy is constructed, something must be injured for shoulder dislocation to occur. Consultation with an expert In musculoskeletal orthopedics is necessary. There are many reasons patients are in doubt about shoulder surgery after a dislocation. Just reviewing surgery outcomes for labral tears is indeed not comforting. We know trauma accelerates the development of arthritis, and surgery is an additional form of trauma. Reviewing Major League Baseball pitchers with shoulder labral surgery shows very low return to professional sport at any prolonged period. Those who do well are the exception rather than the rule. When we look at just how long pitchers stay pitching in the major leagues of those who make it back, it is only about 100 innings. This show how truly serious the diagnosis of a labral tear in athletes actually is. When you look at 5, 10, 15, 20-year intervals after this type of shoulder injury with and without surgery, the pattern of post-traumatic arthritis becomes very clear. Patients are becoming more aware of Regenerative Medicine treatment options such as stem cell therapy, Orthobiologics, Platelet Rich Plasma (PRP). More are inquiring about these Regenerative Medicine treatment options especially as it pertains to shoulder labral, rotator cuff dysfunction, shoulder arthritis, and shoulder joint replacement surgery. 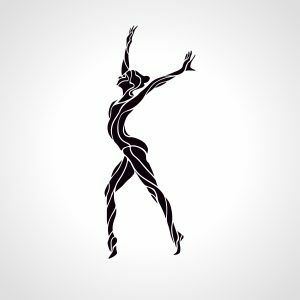 Stem cell therapy is commonly thought of like a knee replacement surgery alternative, however, most major joints may be treated with Regenerative Medicine options. Given the inherent problems shoulders have with overhead sports it is no wonder athletes and non-athletes alike are researching, and choosing Regenerative Medicine such as stem cell treatment for complicated shoulder pain issues prevented a return to sport or even everyday quality of life.